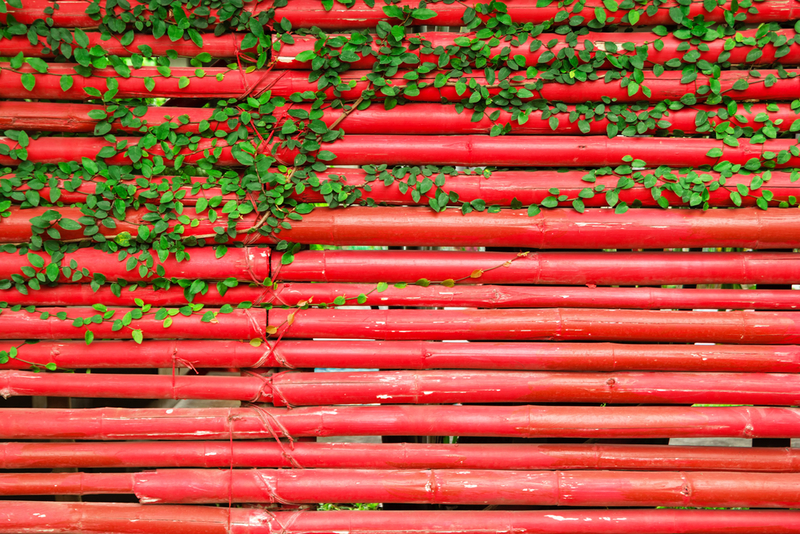 The Chinese believe that red symbolizes good luck, prosperity and happiness. 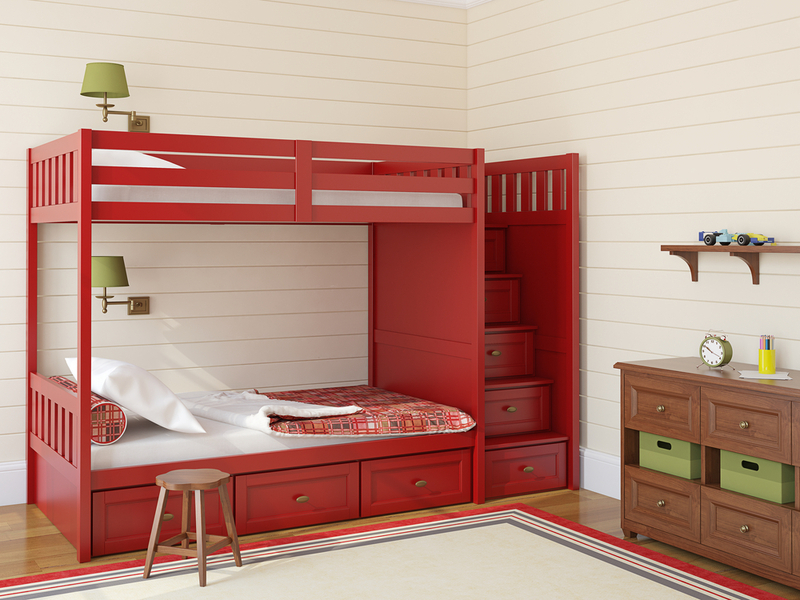 So with the Chinese New Year approaching, we chose to make red the focus of this week’s paint color palette. Red is the color of blood and fire. It is hot, intense, and powerful. So how would you use it in modern homes? But before I talk about tips, let me tell you a story. Years ago, I moved into a big house. It was a rental. I was in an experimental mood at that time, so I thought, I’m going to have a red accent wall in this huge 100-sqm living room. I did that and was very satisfied with the results. 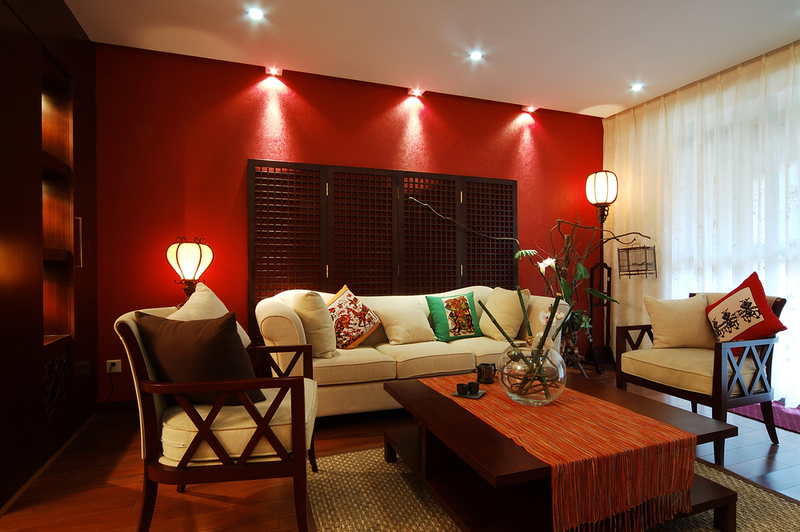 What was once a cavernous space became warm and intimate with the red wall. 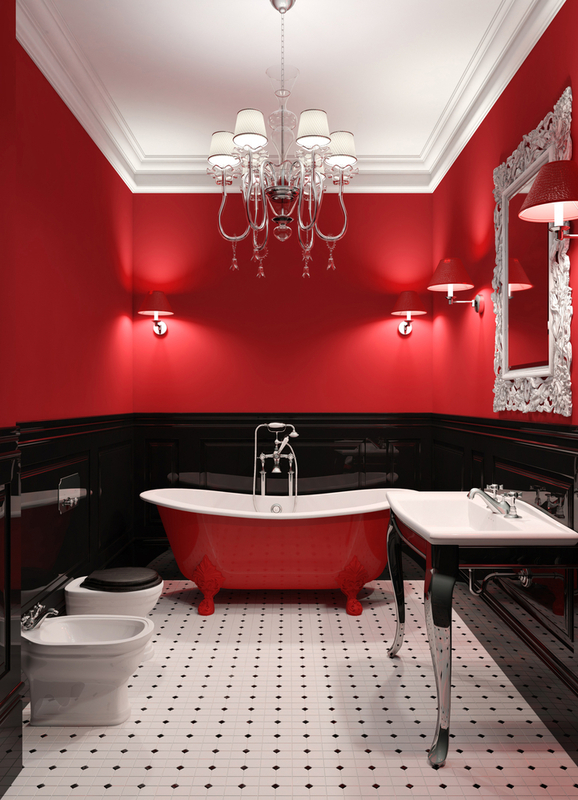 Since I had some more red paint left, I thought, I’m going to paint the hallway red. What about that? No apologies! No holding back! 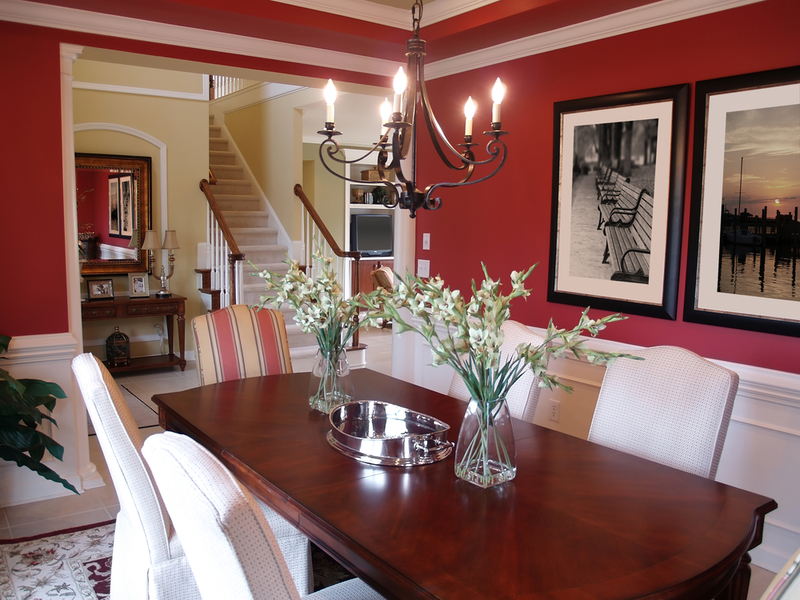 Red was going to be the color of the left and right walls of the hallway. With the marble floor, I thought that was going to be spectacular. It was! It gave the very stately home in one of the most gentile streets in Amsterdam the air of a brothel. It was a spectacular failure! Thank God it was just paint! But let me tell you that it was more work than I thought. 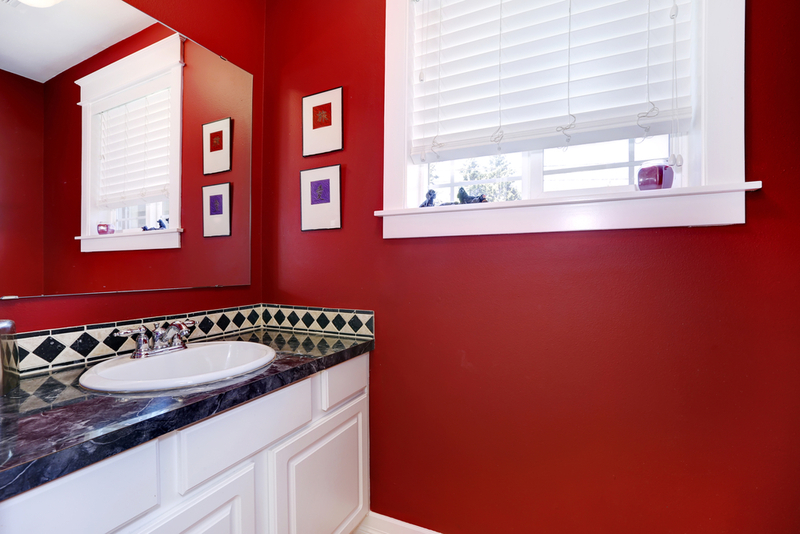 Because of the intensity of the color, it took a primer and several coats of an off-white paint color to make that bloody red color disappear. 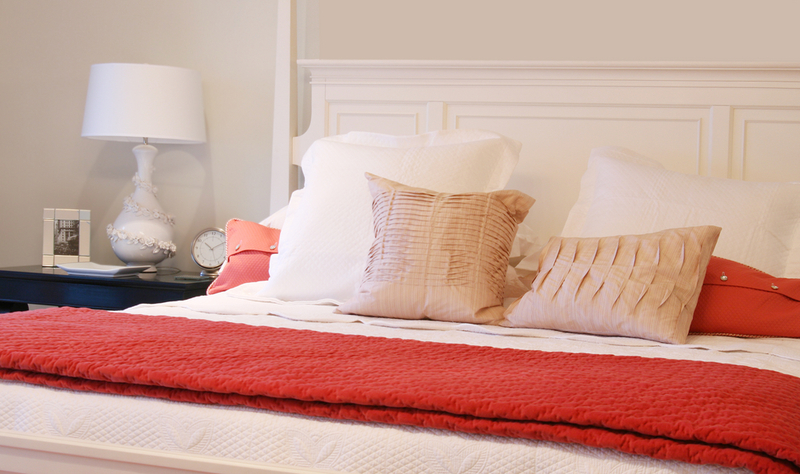 Now that I am older, and hopefully wiser, here are my tips on how to use red in your homes. 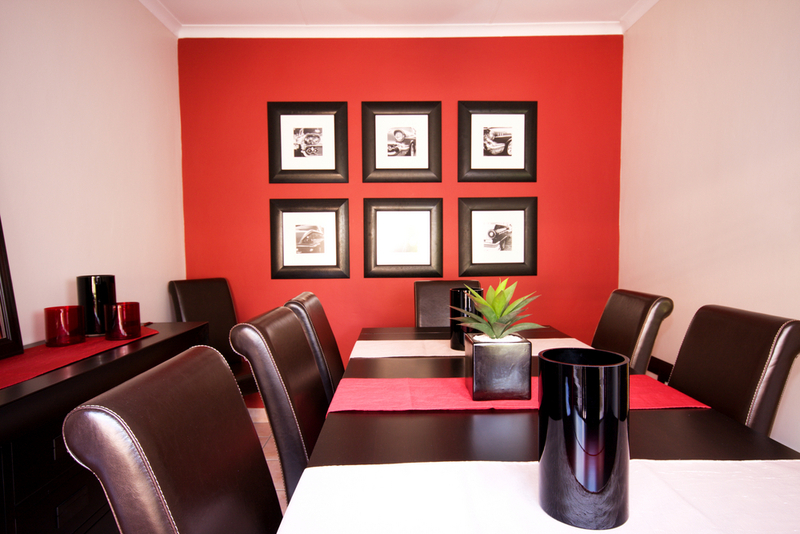 Which rooms would look good with red? 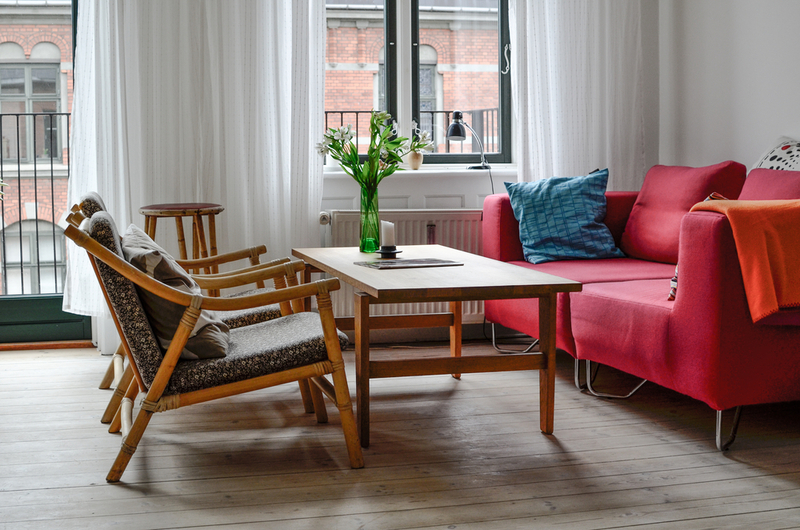 I would paint them in rooms where you need lots of energy, like a living room, a dining room or a den. 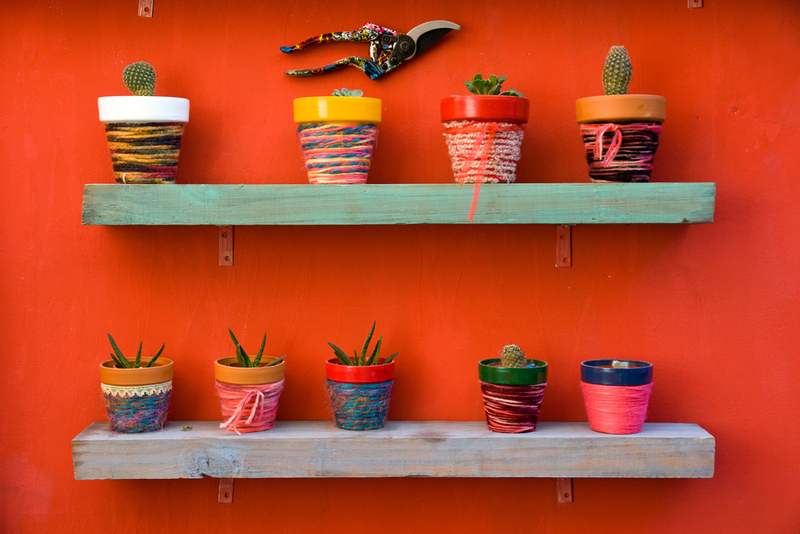 It would also look good in a bathroom, in a kitchen, or out on a patio or garden where the green of the plants give the color an extra kick. 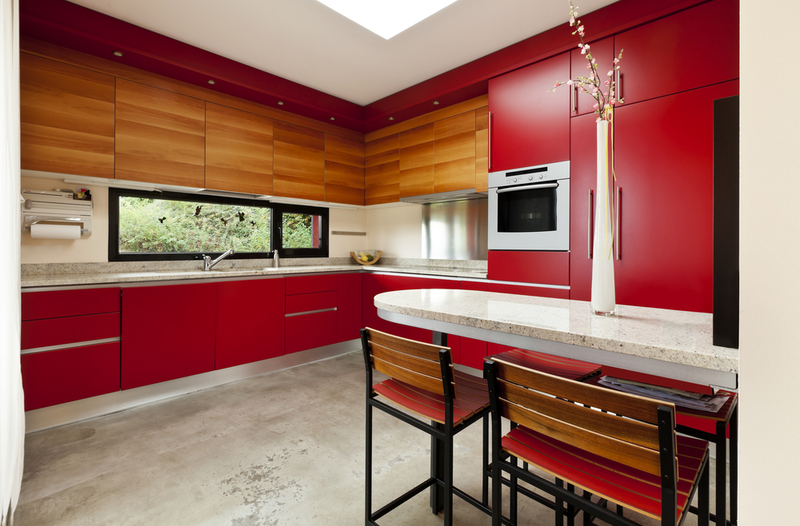 Red is balanced with wood tones of the cabinetry and backs of furniture. 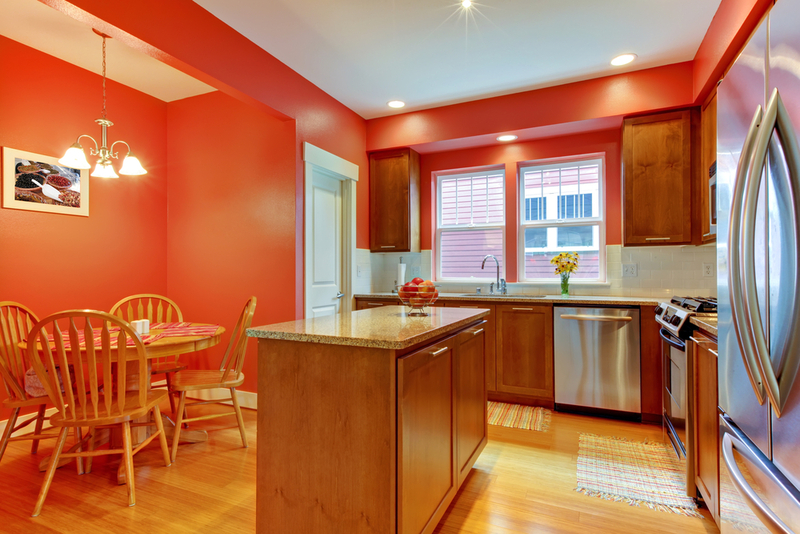 Light grey slate tiles and light countertops make the red pop. 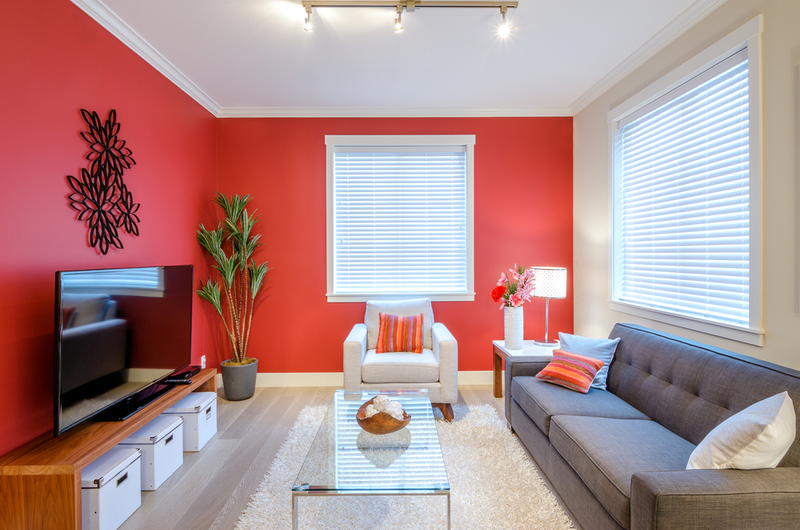 If you’re afraid to have a hot color like red on your walls, then you can opt to use the color in your furniture or home accessories. 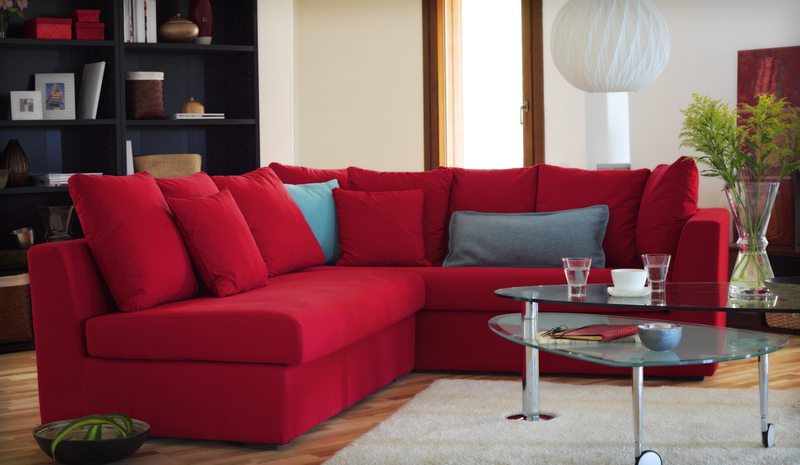 Then you can decide how much of the red you’d like to have in your living space. 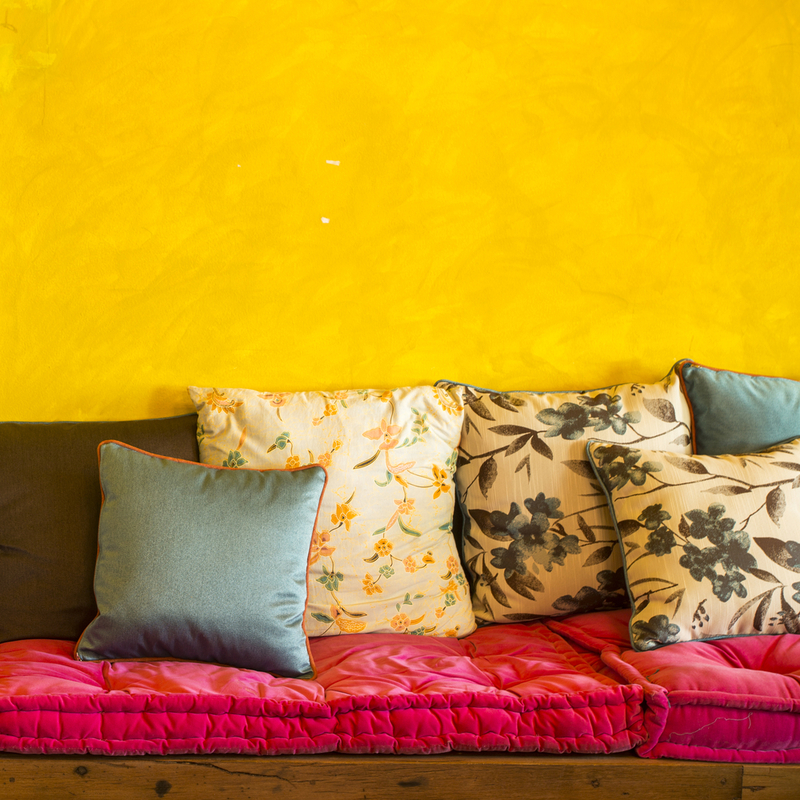 This is a good way to test the color and see how you feel about it before you commit to painting a wall. Let it B wishes everyone Kung Hei Fat Choi, which will be celebrated on February 16 this year. This is going to be a red-letter day for many people. Let’s hope that the Year of the Dog will bring us good luck, prosperity and happiness.